Eric counsels financial institutions. He has significant experience in asset-based loans, acquisition financing, and commercial real estate financing. He has represented lenders in middle-market transactions, as syndicate members and as agent counsel. Mr. Bruenner has also advised clients in connection with supply chain financing facilities, including proprietary platforms, bilateral receivables purchase and participation facilities, and payables financing facilities, addressing various issues relating to receivables financing including risks relating to discharge, perfection (and local country assignment recognition), comingling, and dilution. Mr. Bruenner has lectured extensively on various aspects of financial transactions. From 1983 to 1985, he taught Business Law I as an adjunct professor at New York University School of Business and Public Administration. Mr. Bruenner is a member of the American Bar Association. 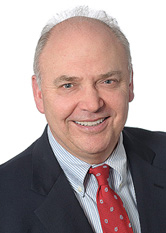 Early in his career, Mr. Bruenner was sponsored by the firm to attend the Parker School of Foreign and Comparative Law at Columbia University in 1976.